GPower is a side department to GAUI group. GPower develops high running efficiency, low fuel consumption, long time operation of power units. Currently GPower finished F-50 four stroke gas engine which designed to fit RC models. 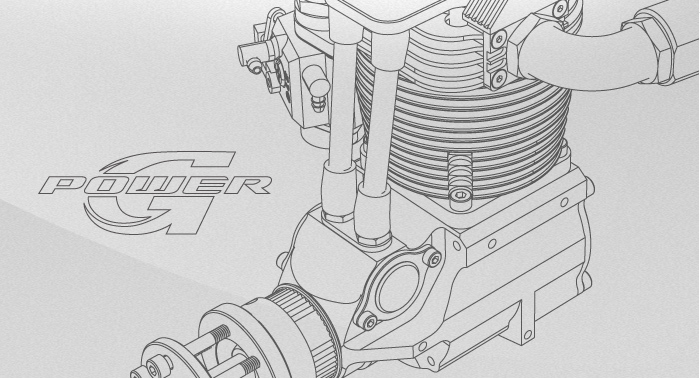 Also GPower develops with GAUI the gas engine helicopter for industrial applications. With the unique features and running stability, the helicopter with F-50 carries cargo up to 10kg (Max. take off weight 20kg), hang time up to 2hr. In the future the F-50 will be used also on fixed wing aircrafts and other air transport devices.